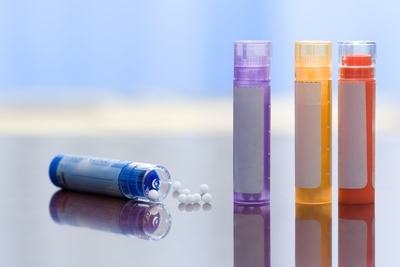 Physicians Who Listen: Why is Homeopathy Dead? 1. You have to take a 1.5 - 2 hour intake and get every minute detail to be effective. a. The other stuff messes up the homeo. b. You can't tell what is working if you give homeo with something else. 3. You have to wait a month to see if it works (this alone is a good strategy for unemployment and/or starvation of the practitioner). 4. You can really do incredible, irreparable harm to a person's vital force if you pick the wrong remedy. I mean, we are not just talking about vital force, for gosh sakes. We are talking about VITAL FORCE here. You don't want to screw with someone's VITAL FORCE, do you? So, the combo platter of taking too long, waiting too long, too much danger, too little income and too many rules scares people from using homeopathy in their practice. Homeo, Homeo, Where Art Thou Homeo? 1. You can use homeo in the context of a regular 1 hour new patient office exam or shorter follow up. Just take a minute to change your thinking towards a homeopathic remedy. That's really all it takes. 2. You can use it – no, you SHOULD use it – with any other modality. a. The other stuff doesn't interfere with the homeo effect (by the way, neither does coffee, nor usually does mint). b. Homeopathy creates an “Aha” reaction, much different from the slower slope of improvement with botanicals or nutrition. 3. Homeo works very quickly – acutely within hours and chronically within a day or two. Nothing else generally works this fast. If you don't see a change this quick, recommend another remedy. 4. You can have side effects from any naturopathic intervention. The side effects from homeo are generally fewer and less intense than from other treatments. So, you new grads/new docs: give it a shot. The current rules are dogma. Let your karma eat your dogma. You can use combination remedies. You can use one remedy at a time. You can use two at a time (I double dare you!). Your patients can use mint. They can use coffee. They can take homeo right before they eat. They can take it right after they eat. They can even take it WHILE THEY ARE EATING. Just use it. You will find your groove. Mostly, you will find a very valuable tool to help people get well, which is why we took this job, isn't it? Maybe the ND schools will catch on sooner or later. "When there is freedom from mechanical conditioning, there is simplicity. The classical man is just a bundle of routine, ideas and tradition. If you follow the classical pattern, you are understanding the routine, the tradition, the shadow - you are not understanding yourself." "Physicians Who Listen" is the blog of the American Association of Naturopathic Physicians (AANP), the national professional society representing licensed or licensable naturopathic physicians who are graduates of accredited four-year, residential graduate programs. Naturopathic medicine is based on the belief that the human body has an innate healing ability. Naturopathic doctors teach their patients to use diet, exercise, lifestyle changes and natural therapies to enhance their bodies’ ability to ward off and combat disease. The views expressed on this blog are those of the contributing authors and do not necessarily reflect the opinions or official positions of the AANP, its Board, or its House of Delegates. You and Your Microbiome, Are You Talking? April's Healthy News You Can Use!